Billions being invested in renewables are being undermined by air pollution as India emerges as a solar superpower. New research has found the smog and dust that sickens millions across India every year is also sapping solar power generation by more than 25%, far beyond levels previously thought. In the first study of its kind, US and Indian scientists measured how man-made particles floating in the air and deposited as grime on solar panels combined to seriously impair sunlight from converting to energy. This interference causes steep drops in power generation, they found. At present levels in India, it could amount to roughly 3,900 megawatts of lost energy -- six times the capacity of its largest solar farm, a gigantic field of 2.5 million panels. "A simple calculation shows that this is a big amount of energy we are going to lose," Professor Chinmay Ghoroi, who co-authored the paper, told AFP at the Indian Institute of Technology in Gandhinagar. These huge losses will only compound as India realises its grand solar ambitions, experts say. India, the world's third-largest polluter, is banking on solar to electrify homes for hundreds of millions of its poorest citizens without adding to its sizeable carbon footprint. At the Paris climate summit in 2015, India pledged cuts to its future emissions and vowed to source at least 40% of its energy from renewables by 2030 -- a target it is well on track to exceed. New panels are being installed so fast that India is expected to more than double capacity this year, overtaking Japan as the world’s third-largest solar market. 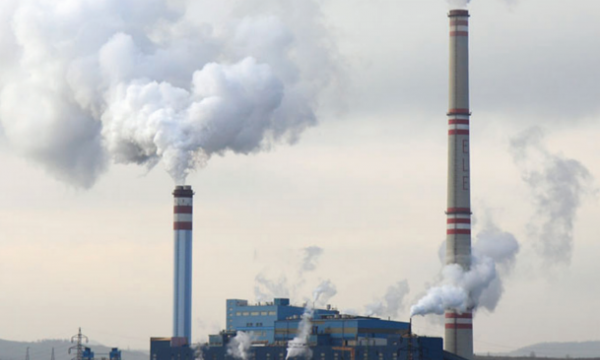 But with this spectacular growth comes "an exponential rise in the total amount of money lost" because of air pollution, said Mike Bergin, a professor from Duke University in North Carolina, who lead the research published in June. "We're talking billions of dollars here, easy," he told AFP. Dust has long been a menace for solar projects in desert states like Rajasthan and Gujarat, where robotic wipers are deployed to ensure panels are cleaned after sandstorms. But the new research confirmed what solar installers had long suspected -- that choking smog from cars, coal plants, crop burning and trash fires was particularly adept at bleeding energy. The grimy coating that man-made pollutants deposit on solar panels is far more effective at blocking light than dust, and trickier to remove by washing, Bergin and Ghoroi found. This is especially troublesome in northern India, where fine airborne particles from human activity contribute far more than dust to the dire air quality. Vinay Rutagi, director of solar consultancy Bridge to India, said rooftop panels in Delhi, one of the world's most polluted cities, produced up to 30% less power than the same project just 40 kilometres away. "The reason for that is the constant haze, the pollution and high dust levels," Rutagi told AFP. "There is a huge amount of practical evidence on the ground available in this regard." This bodes ill as the government seeks 40% of its solar energy from rooftop panels atop industrial zones and urban centres by 2022. But there is little appetite for gloomy projections as India's solar sector undergoes an unprecedented boom. Amid this optimism, new milestones are being surpassed at a dizzying speed. A behemoth solar park nearing completion in India's southeastern Andhra Pradesh state will rival the world's largest. In May, wholesale solar prices plunged to record lows, cheaper than the coal-powered electricity that overwhelmingly dominates the power grid. Dr Andre Noble, an expert on the effect of haze on solar generation, found little interest when he presented his findings at a solar summit in Delhi last month. 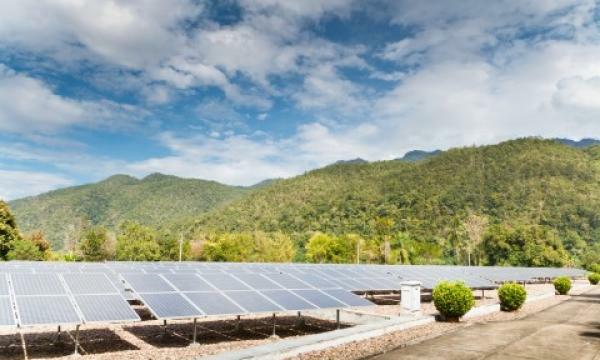 "People didn't pay much attention," said Noble, who is head of operations and maintenance at Singapore-based Cleantech Solar, which invests heavily in India. "They might have a gut feeling, but they might think the impact is negligible." Rutagi said air pollution was brushed off as "a large, macro issue" by an industry fretting about crashing solar prices and obstacles connecting to the grid. "From a doability perspective, those issues are much more tractable, or solvable, that air quality issues. People have kind of taken it in their stride," he said. There are some signs the industry is taking note. Bergin said he was bombarded by emails from Indian solar businesses eager for solutions to fix the problem. Jinko Solar, a Chinese photovoltaic cell manufacturer, is marketing a coating designed to resist dust and other grime from accumulating on panels, its Indian sales director Vivek Bhardwaj told AFP. But the putrid skies blocking out the sun have a far more sinister impact: premature deaths from smog have steadily climbed in India to nearly 1.1 million in 2015. This shadow cast over India's solar success story should encourage policymakers to redouble efforts to clean the skies, Ghoroi said. "Now that we have identified that air pollution is one of the biggest culprits... if we tackle that, we'll kill two problems together," he said.